Thanks for the great turnout over NYE!! trax from his popular REMIX 101 cd! Party with the A-listers this Saturday! FREE and Guys $10 till Midnight. 21 to enter. Valet parking. 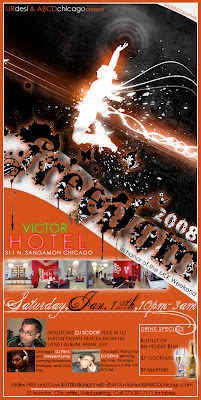 Call 773-490-0975 for group/bday packages.